Maarten Botterman is independent strategic advisor on Internet Governance and related issues with 25+ year experience in guiding governments and major organizations on the economic/business and societal impacts of current and future internet innovations and technologies. 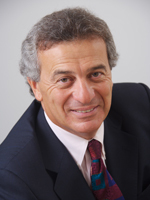 During those 25+ years he participated and led more than 50 international projects and studies for governments and industry on Future Net issues with teams including experts with advanced academic degrees from many disciplines ranging from technology and mathematics to economics and law, and from many different countries and cultures. Maarten was employed as Head of Unit and Senior Advisor to the Dutch Government (1987 – 1995) and as Scientific Officer to the Communications Technology Research program that was run by the European Commission (1995 – 1999). These years brought many insights about public interest and governance aspects of the developing global, networked knowledge society. These insights were further deepened when working for RAND Corporation setting up and running an Information Society policy practice in Europe (1999 – 2006), and since, working as independent strategic advisor to governments and businesses in close cooperation with leading independent research institutions in Europe (including RAND Europe, TNO Netherlands, DTI Danmark, and Inno France). Today, he is internationally recognized as governance and future internet expert. Next to advising the Dutch government and the European Commission on Internet Governance issues he got deeply involved in the ICANN work as Board Member and Chairman of the Public Interest Registry (2008 – 2016), over time actively participating to more than 20 ICANN meetings. Having worked internationally since 1995, he has extensive experience with working with people from different national and cultural backgrounds, and is comfortable in engaging in English, German, French and Dutch (mother tongue). He has a reputation as independent, trustworthy, out-of-the-box thinker who is able to look at issues from several perspectives with strong awareness of the bigger picture. Having served on Boards and having reported to Boards, he has extensive experience with effective Board Governance and the responsibilities and obligations that come with a Directors' position on a US Non-profit Board. Over the years he has been a frequent guest speaker and/or moderator, mostly at smart technology related events. Maarten holds an advanced degree in business economics from Erasmus University Rotterdam. He is a certified coach and has a certificate in medical base knowledge, both relevant as they help in better understanding of what drives people in decision making and going through life. His areas of interest are government, civil society and technology. Maarten is based in Rotterdam, The Netherlands. Cherine was selected by the Nominating Committee to serve on the Board. His term will expire at the Annual General Meeting 2019. 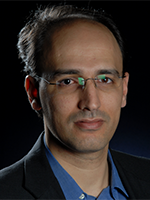 Khaled is the Founder and President of the Arab World Internet Institute. Previously, he worked as Head of Government Relations and Public Policy MENA at Google. Previously, Khaled worked as an independent consultant for the non-profit and government sectors in the Middle East Africa region, promoting best practice in the use of information technology and providing strategic advice regarding how to choose and use Internet and New Media technologies. Khaled earned his Bachelor's degree in Management from the High School of Commerce in Tunisia and a Master's Degree in Electronic Commerce from the High School of Electronic Commerce. He has also completed an Internet Governance Capacity Building Program with the Diplo Foundation and a Spring Institute on Internet Diplomacy at the USC Annenberg School for Communication and Journalism. He earned a Certificate on Radical Innovation from the Massachusetts Institute of Technology. A RuNet (Russian Internet) veteran, Andrey pioneered public-interest online services in the then Soviet Union by providing email and teleconference services to support citizen diplomacy and business connections between USA and USSR. Later, he lead a small team of engineers to launch Russia-On-Line, a first mass-market ISP in Russia and subsequently served as an executive in charge of IT and media operation in a number of companies under the Golden Telecom Inc., a NASDAQ company. 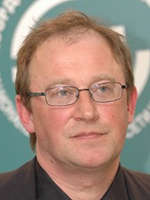 As a member of the national Internet Industry Steering Group, Andrey signed a cooperative Charter and second-level domains registration policies and procedures for what later emerged as the Coordination Center for .RU, a truly multistakeholder NGO and the nation's ccTLD administrator and twice served on its Board. Between 2009 and 2015 the multistakeholder Council supported his election and re-election as CEO of the Coordination Center for the ccTLD .RU. Under his lead, it became one of the world's leading registries and an indisputable market and industry leader across the post-Soviet space. During his tenure, Andrey engineered a successful launch of the Cyrillic-script IDN ccTLD .РФ, which currently boasts nearly 900,000 registrations making it's the biggest IDN ccTLD worldwide. Despite recent challenging domestic and international developments, Andrey has consistently advocated Russia's rapprochement and collaboration with a number of organizations, including ISOC, ICANN, CENTR and APTLD. His tireless efforts to engage Russia in the global dialogue on Internet Governance resulted in the launch of the Russian IGF, the biggest multistakeholder platform of its kind across the Central and Eastern Europe and the post-Soviet space, currently into the 7th year of existence. Andrey also served as a gNSO counselor (2010-2012), was ISOC Organization Advisory Council member in 2011-2013; he sits on boards of several NGOs in Russia, including the Russian Internet Development Foundation and Russian Non-Governmental Organization "Center of Internet Technologies" (ROCIT). As a senior staffer of the Russian Institute for Public Networks (RIPN.NET), Andrey is engaged in research and educational activities in Russia and the post-Soviet space by doing presentations on and advocating IPv6, DNSSEC, strong encryption and open internet environment. 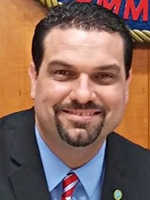 In May 2013, the Governor of the Commonwealth of Puerto Rico appointed Javier Rúa-Jovet Chairman of the Telecommunications Regulatory Board of Puerto Rico (PRTRB), position he currently holds. As Chairman, he has focused on policies and actions to boost broadband access and adoption in Puerto Rico and the region. Under Rúa-Jovet's watch, PRTRB has achieved regional recognition through several important engagements with organizations such as the Caribbean Association of National Telecommunications Organizations (CANTO) and the VirtualEduca Secretariat of the Organization of American States (OAS), among others. Javier also chaired, until November 2015, the Latin American Forum of Telecommunications Regulators (REGULATEL), ICT organization comprised of 23 Latin American and 3 European regulators as full members, and is current Vice Chair. 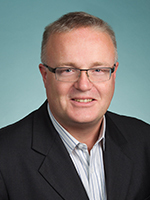 As Chair and Vice Chair he steered REGULATEL into fruitful MoU cooperative relationships with ICANN and with the Federal Communications Commission of the United States (FCC), among others, and helped cement close ties with BEREC, the Body of European Regulators of Electronic Communications. Javier is an attorney admitted to practice by the Supreme Court of the Commonwealth of Puerto Rico, the United States Federal District Court for the District of Puerto Rico and the United States Court of Appeals for the First Circuit. He has published articles in national and international journals on subjects such as telecommunications regulation, natural resources law, public international and tort matters. Javier earned his Juris Doctor degree from the University of Puerto Rico, School of Law, holds an LL.M in Public International and Comparative Law from the George Washington University National Law Center and a B.A. from Boston College. After his LL.M., Mr. Rúa-Jovet clerked for the Puerto Rico Appeals Court Chief Judge Hon. Fiol Matta, who recently retired as Chief Justice of the Puerto Rico Supreme Court. He has taught International Law courses at the University of Puerto Rico, School of Law. Prior positions held include that of Legal Advisor to the Chairwoman of the Puerto Rico Telecommunication Regulatory Board (2001-2003), Legal Advisor and Deputy Secretary of the Puerto Rico Department of Natural and Environmental Resources (2003-2008), Chairman of the Puerto Rico Environmental Quality Board (2008) and attorney in legal private practice, concentrating, inter alia, on land use law/zoning, administrative law, government affairs, renewable energy, torts, and telecom/tech (2009-2013). Javier lives in San Juan, Puerto Rico with his wife, attorney Rosalie Irizarry and their two children, Mariana Isabel and Joaquín Javier. Jian Zhang has extensive experience in domain industry and ICT industry. She's working as consultant of DotAsia Organization, helping DotAsia on building community relationships, as well as business development with DotAsia partners all over the world. Jian worked as General Manager of Asia Pacific Top level Domain Association before joining DotAsia. She led APTLD to outreach to registries and registrars in the Asia Pacific Region, promoted best practice of TLD registries. Before taking up the position of APTLD, Jian was the Director of International Business Department of China Internet Network Information Center (.CN registry). During her tenure with CNNIC, she helped CNNIC to establish working relations internationally with different organizations including joining ICANN ccNSO. 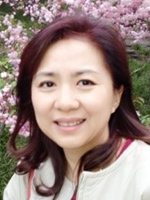 Jian is actively involved in Asia Pacific Internet community, she was the board member of Asia & Pacific Internet Association (APIA), and the first female Executive Council member of Asia Pacific Network Information Center (APNIC). She's also one of the key drivers of Internationalized Domain Names (IDN), she led China's IDN .CN application, participated the ICANN IDN Fast Track process. Jian's career track also included technical and managerial positions at GTE Internetworking, Nextel Communications and Cisco Systems in the US. Jian has an MS degree in Information Systems from Northeastern University, Massachusetts, USA.